In this solo episode, I share with you my top tips and strategies for finding a health practitioner who will really support you. I have been receiving more and more requests from listeners wanting referrals and resources for practitioners in their local areas. One thing I’ve found over the years from doing well over 150 interviews with health professionals is that you are best served when you find a practitioner who has taken a specialized interest in the area you need support in. What it comes down to is that you want to work with someone whose perspective aligns with yours. Whether you see a medical doctor, a functional practitioner, a naturopath or a physiotherapist, you have the right to work with someone who will work with you and support you to achieve optimal health. I show you how to step in the driver’s seat and find a practitioner who shares your perspective and will support the decisions you make about your health. How to find a practitioner that recognizes your needs? Who are the members of your health team? What questions should you ask when looking for a practitioner? What truly makes the biggest impact when you approach health challenges? 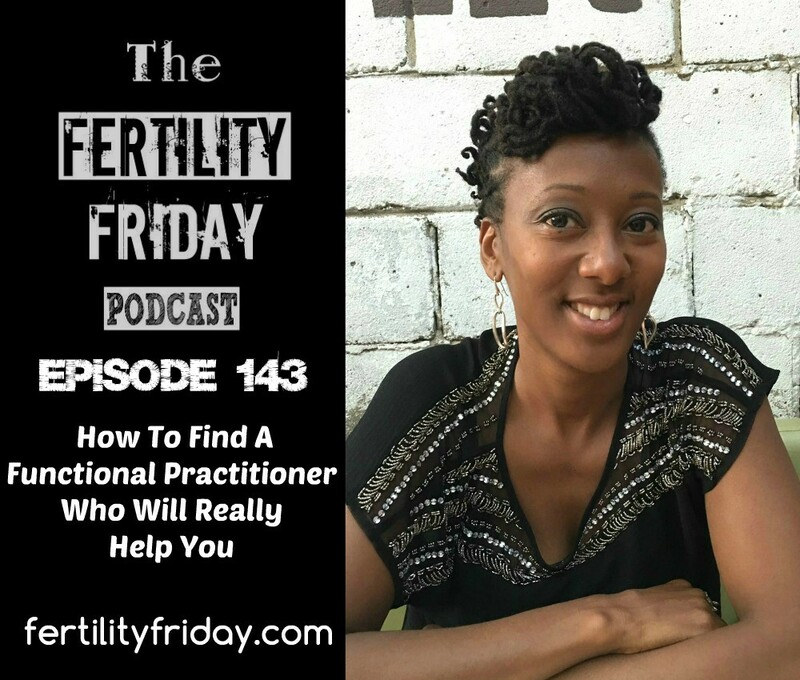 You can connect with Lisa on the Fertility Friday Website, and on Facebook, and Twitter. Thanks for the video and all your podcasts. I wish you would mention cups and cloth pads in between promoting Cora. Organic tampons are better than conventional, but they don’t have the advantages of reusables: environmentally friendly, doesn’t disturb vaginal flora, cheaper, not associated with TSS. Unfortunately cups don’t have the social recognition of tampons– but you have the right sort of platform to change that.